Growing plants, flowes, vegtables successfully in the Phoenix area is about understanding the soil and water. The fact that both are highly alkaline and saline. Knowing what to do to offset this problem makes growing things easier and saves water. Acidification is the key (lowering the pH). Most people recommend gypsum, but this takes 3-5 years to begin to work and adds calcium the soil doesn't need. High calcium is part of what makes the soil so dense. We found that water soluble sulfur works much better and more rapidly and doesn't affect the overall nutrient balance of the soil. If you have any gardening, planting questions, contact us here. Weeds are plants that grow where you don't want them to be. There are several types of weeds dividing into two distinct groups: Grasses and Broadleft weeds. Each group has its own characteristics. 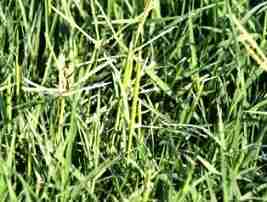 Among Grasses group, there are mainly two types: Crabgrass and Bermudagrass (not to confuse with your bermuda lawn grass). Grasses groups' veins in the leaves don't cross over each other meaning their veins are parallel. The leaves of grass groups are long and narrow. Among Broadleft group, there are Cheese Weed and Bur Clover. The veins in this type of weed cross over each other and are generally in oval shape and wide. Weeds mainly come from wind or carried by birds. In some cases, seeds of weed get carried by lawn, yard equipments, or even by pets fur, shoes. If the weeds are not controlled properly, they steal away water and nutrients from other plants and grass. Not to mention they look awful on your existing landscape. Some weeds sprout from seeds and grow flowers. Some weeds die within one season, which are referred to as Annual weeds. Some weeds live for several years. These types of weeds are called Perennial weeds. Weeds can be manually removed in a relatively small area. Hand tools such as hoes, shovels, or hand pulling tools often do the work. Herbicides that target weeds types and groups is also an option. Be careful that if you use weed-controlled herbicides, your lawn and other plants should not be affected by it. However, if you use grass killer (Broad-spectrum herbicide), it will kill the weeds and the grass, so be extra cautious. 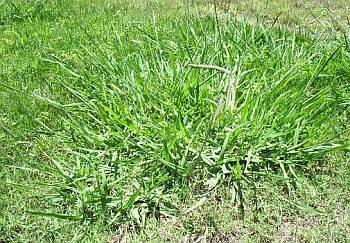 In the lawn areas, the best option to control weeds is have a healthy lawn that outgrows the weeds. A lawn expert is your best bet to make sure you have a healthy lawn. In gravel, rock areas, weeds can be controlled by post-emergent herbicide. The best technique is to apply post-emergent herbicide to young growing weeds. Remember this type of weed-controlled product kill any growing plants, and grass. Extra precaution is advised. A yard lawn care professional is your best bet to make sure weed control is done right. For more information, contact us here. Why we founded House of Yards? We're tired of not finding good quality lawn/yard care workers. We’re frustrated when calling them, waiting for them to show up, some did, many didn’t. For those who did, the price wasn’t right. The ones we hired, the quality was terrible. We fired them then the entire process starts all over again. It’s time-wasting, painful, it should be a lot easier, and simpler. What's HouseofYards.com? Homeowners can book a lawn care, yard clean up appointment in less than a minute. Simply enter an address. HouseofYards.com developed a proprietary pricing system. It calculates the yard size, followed by a few simple clicks, you instantly see the price, like it? Choose a date, book it online. It’s that simple. All done in the 60s. What’s in it for our customers/clients? We made finding good quality lawn/yard care workers easy, fast, and convenient. We give all our lawn/yard care clients free accounts to manage their appointments online from viewing current, upcoming appointments, invoices, to updating profile, and payment information. Unlike other lawn care apps that only focus on the lawn, we're a full-service yard, lawn care company. We recognize lawn/yard care is a personal business, we offer great support and hired in-house lawn/yard care professionals who are highly trained and experienced. What's our growth? Phoenix alone enjoys 60x revenue annual growth. 10k appointments served.